“The Mailman” delivering purpose-built apparel and gear to local market. Stirling Properties commercial real estate company announced that 5.11 by Karl Malone retail store is coming to Lafreniere Plaza Shopping Center in Metairie, Louisiana. This is the second Louisiana retail location for the company. 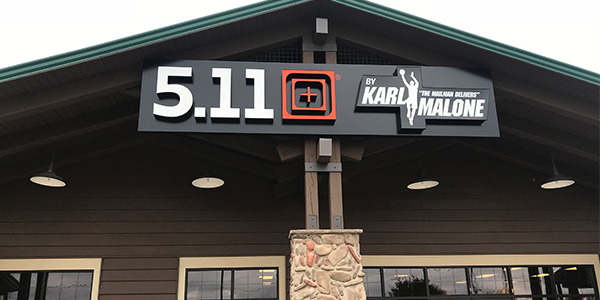 5.11 by Karl Malone will offer men’s and women’s apparel and clothing, footwear, bags and packs, accessories, and professional gear by 5.11 Tactical, the world’s leading innovator of purpose-built gear. The global brand features superior tactical apparel and gear for law enforcement, first responders, tactical operators and recreational enthusiasts from head to toe. NBA Hall-of-Famer Karl “The Mailman” Malone will operate the Metairie location. The store will encompass 5,070 square feet of retail space at 6601 Veterans Memorial Boulevard and plans to open by January of 2019. Malone also operates the only other Louisiana franchise in Ruston that opened late last year. The FBI training academy adopted the original 5.11® pant as its training pant in 1992, forging a decades-long relationship that drives 5.11®’s commitment to public safety and the first responder community. The company began developing a more extensive law enforcement line in 2003 working with public safety professionals to create gear that meets the needs of real people in the field. In 2012, 5.11 expanded its women’s collection to include premium uniforms, covert clothing, fitness apparel and more. Today, 5.11® is expanding into the outdoor and fitness markets with products like the Vaporlite short and the ABR trainer. Carly Plotkin, Sales and Leasing Executive with Stirling Properties, is the listing agent for Lafreniere Plaza Shopping Center. Karla Smith of CBRE represented 5.11 by Karl Malone in the lease transaction. The retailer will join co-tenants HomeGoods, T.J.Maxx, Sandro’s Trattoria, State Farm, Subway, Pickleberry Kids, and several others in the center. For leasing information, contact Carly Plotkin at cplotkin@stirlingprop.com or (504) 620-8120. Donald, the new location opened on February 2nd.